This Dec. 21, 2016, file photo shows The Trump International Hotel on Pennsylvania Avenue in Washington. 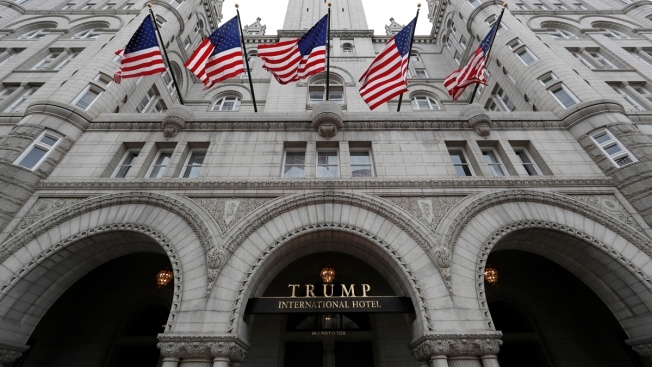 A federal judge is allowing Maryland and the District of Columbia to proceed with their lawsuit accusing President Donald Trump of unconstitutionally accepting gifts from foreign and state interests through his Washington hotel. 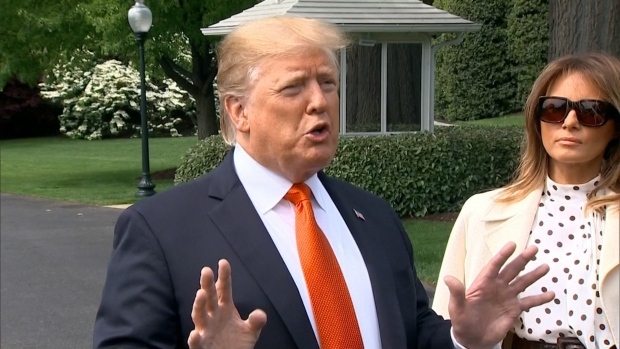 The decision Wednesday clears the way for the plaintiffs to seek financial records from the president's company. In his ruling, U.S. District Judge Peter J. Messitte rejected arguments from the Justice Department that earnings from business activities, including hotel room stays, do not qualify as unconstitutional gifts. At issue is the Constitution's "emoluments" clause, which bans federal officials from accepting benefits from foreign or state governments without congressional approval. The plaintiffs argue Trump's hotel harms area businesses because of the president's ties. Two other emoluments lawsuits are also moving through federal courts. Trump administration lawyers have argued that earnings from such business activity, including hotel room stays, don't qualify as emoluments. They have argued that under Maryland and D.C.'s interpretation of an emolument, no federal official would even be able to own stock from a foreign company that provides profits or collects royalties. Lawyers for Maryland and D.C. have maintained that no actual influence is necessary to establish an emoluments clause violation. So far in Trump's presidency, his hotel, which is in a former post office just steps from the White House, has become a popular meeting place for groups tied to foreign governments, including Kuwait, Bahrain, Turkey, Malaysia and Saudi Arabia.